I had the pleasure of using Nikon’s AF-S 28-300mm VR zoom lens a couple of summers ago when Nikon loaned me a D4 digital SLR for review. I took the camera and lens on a big road trip and the 28-300mm VR was an absolutely wonderful travel lens for a full-frame DSLR. I shot everything from portraits to mountain bike action to landscapes and it worked great for everything (Nikon AF-S 28-300mm VR sample gallery). It’s also quite compact for a lens with such a big zoom range, making it an even better travel / walk-around zoom. So when I saw this review by footloose-photography for the 28-300mm VR Nikkor, I knew I had to make it a Featured User Review. 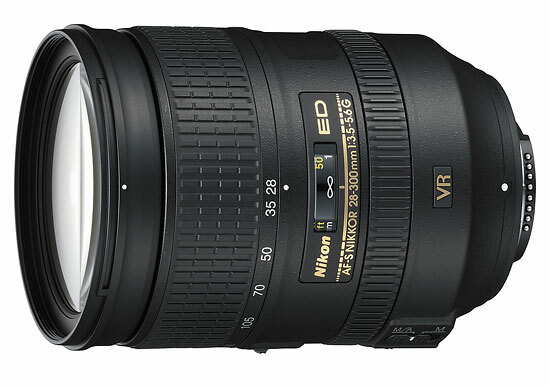 If you own the Nikon AF-S 28-300mm VR zoom and disagree with this review or just want to share your own experience, please write your own review.